Most of the time when I encounter what seems like a contradiction, it turns out that just thinking clearly for a few minutes resolves the problem. how do we know if we are right after having thought? If someone isn’t DOING something, they are labelled as lazy or as dreamers. So we avoid thinking, for lack of immediate visible payoff. But there’s the rub – without clear and logical thought, we can be left with invalid ideas. And ideas have consequences. Actions flow from ideas, whether accurate or not. So much for my detour into why we don’t think. All that was to explain how pleasantly surprised I was to see an apparent contradiction melt away as I listened to a man think out loud. The conversation fragment centered around God’s tendency to act differently throughout history AND yet still retain the attribute of unchangeability. At first the one might seem to preclude the other. But listening to this thinker go deeper, I learned otherwise. God is just, that is, He does what is always right. THAT is the the quality that doesn’t change. But as any parent knows, acting correctly toward one’s child looks different at each stage. 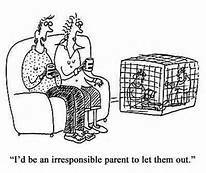 The parenting response might change, but the quality of fair and correct discipline and training need not alter. So a parent can still be considered consistent yet act differently and appropriately at each stage – as can God. 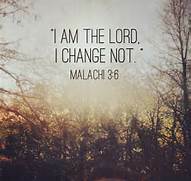 So when some people casually toss off the quip,”I prefer Jesus to the God of the Old Testament,” they are actually communicating that God has changed or there are 2 different Gods. When you hear that, just ask them WHY? But be gentle as you lead them to consider how they themselves might respond differently in various situations YET still be considered loving or fair. My hope is that NEXT time I meet another apparent contradiction, I’ll pause and reflect first before drawing any conclusions. Question: What about you? what contradiction bothers you?